I live near the railroad – the beginning of a long route going through Russia from Moscow to the Far East. It is known as the “Great Siberian Way” or simply “Transsib”. My house vibrates and the bed goes around the room when outside the windows, knocking with their wheels, the loaded trains stretch to somewhere very far away. As far back as childhood I watched these trains moving as if they were overcoming the weight of their burden, and I thought about the engine drivers, who were to make a long journey and I tried to imagine myself on their place. I suppose that this romance has influenced me, so when I go to the center of the city by commuter train, I look for the subjects and wait for the occasion to paint them. 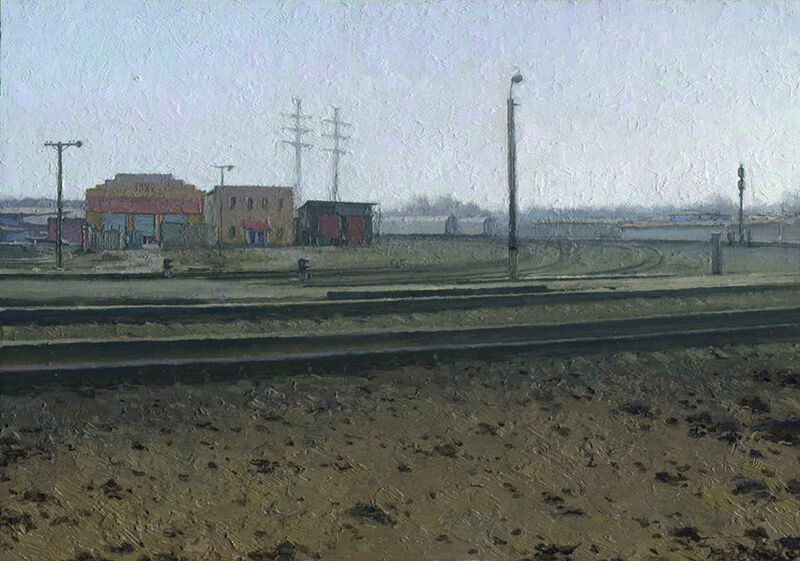 And this year is the same: it had just gotten warm enough to paint on plein air for a long time, and I’d painted a railway. All times are GMT 0. The time now is 6:30 pm.